This item is a used or open box 8' DVC200 camera crane. The item may have small scratches or other signs of use. Any imperfections do not affect the function of the item. The item is in good, working condition. Includes two 4 ft sections of the crane arm only. 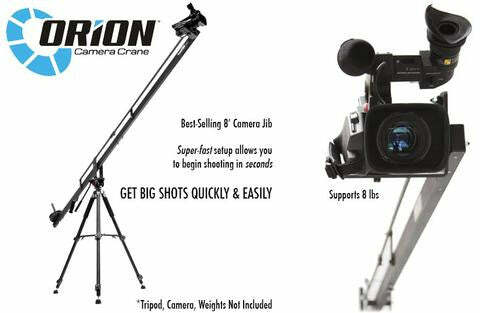 The Best Selling ProAm USA Orion DVC200 Crane / Jib! 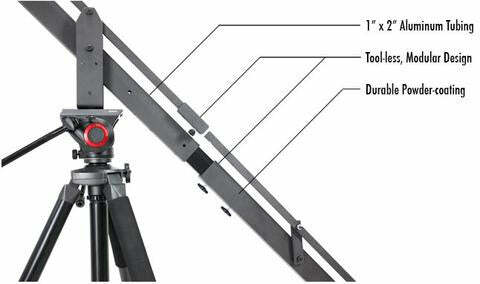 Professionally Designed, CNC Machined, Patented and Warrantied Camera Crane. The ProAm USA Orion DVC200 is the original tool-less camera crane, and it's still one of our most popular camera cranes today! The DVC200 introduced filmmakers and videographers to a whole new world of filmmaking possibility, allowing them to capture Hollywood-style shots that couldn't be achieved with a handheld camera. Thousands of filmmakers worldwide rely on the DVC200 to create smooth, dynamic shots, increasing their production value. 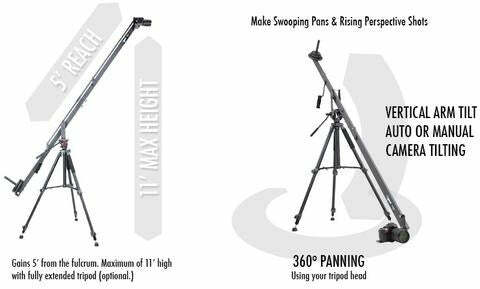 All ProAm USA camera cranes come pre-assembled for fast and easy set-up. Just attach any digital camcorder or DSLR camera using the included hardware, and you're ready to start filming! The quick set-up and simple operation mean you can start using this crane for your projects right away, adding value proposition for you and your clients! Design protected by US Patent. This item includes the 8 ft camera crane only. The video camera, plate weight and tripod/stand are not included.